Thomas Addison McCann was born September 25, 1858, in Dresden, Muskingum County, Ohio, the eldest son of Thomas A. McCann (~1818-1883), a farmer and schoolteacher active in community government, and his wife Jane (McKee) McCann (~1826-1877). As a boy, Thomas attended the schools near his father’s farm. As a young man, he attended Denison University. He began his medical training at the University of Michigan, which he attended during the 1882-1883 school year. After only one year at University of Michigan, Thomas apparently halted his formal education temporarily, probably due to family obligations. His mother had died in 1877, and in March 1883, his father died, leaving at least two children under the age of 16. Thomas may have been needed at home to care for his younger siblings. In October 1889, Thomas returned to his formal studies, matriculating to the school of homeopathic medicine at Hahnemann University in Philadelphia. He graduated from Hahnemann with his M.D. 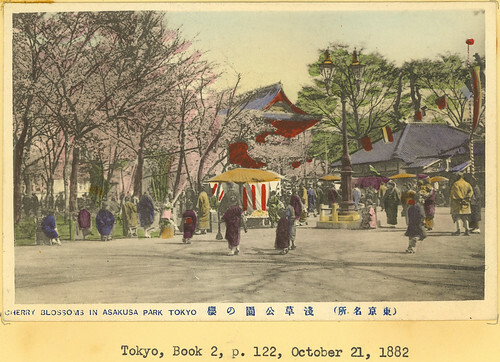 on April 7, 1891. Upon graduating from medical school in 1891, Dr. Thomas McCann moved to Dayton, Ohio, where his younger brother Benjamin F. McCann was an attorney. Thomas McCann’s decision to move from the location at 108 N. Ludlow to the larger accommodations 115/117 N. Perry Street probably resulted from changes in his domestic situation. For several years, Thomas’s brother Benjamin and sister Celestia lived with him at 108 N. Ludlow. In 1899, he added a wife and mother-in-law to his household, not to mention the children he would soon have. 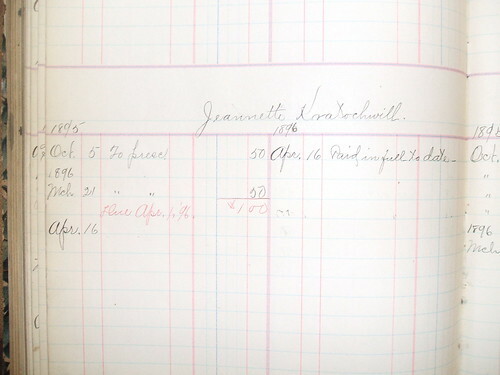 On February 21, 1899, Thomas A. McCann married Jeannette Kratochwill (1868-1954), daughter of Joseph and Harriet (Conard) Kratochwill. It is possible that Thomas may have met Jeanette through his medical practice; the records indicate that he attended to her in 1895-1896 (see volume 1, page 406). Joseph K. McCann (born Aug. 20, 1907; died Nov. 15, 1971), who was a clerk at Buckeye Iron and Brass Works in Dayton for several years. Dr. Thomas A. McCann practiced homeopathic medicine in Dayton for approximately 50 years and was the personal physician of many prominent Daytonians, including James M. Cox and Charles F. Kettering. He was also a surgeon at Miami Valley Hospital for many years beginning in the early 1890s, shortly after it was founded. In addition to the practice of medicine and surgery, Dr. McCann was active in several professional organizations and boards. He was a member of the Ohio state board of medical examiners for over 16 years. He was a member of the American Institute of Homeopathy, of which he was elected president in 1920. He was also a member of the Dayton Homeopathic Society, the Montgomery County Medical Society, and the Ohio State Medical Society, and the American Medical Association. He was also a member of the Board of Trustees of the New York Homeopathic College. In 1926, Thomas McCann agreed to run as the Democratic candidate for Congress for Ohio’s Third District. He was defeated by the incumbent, Roy G. Fitzgerald. Dr. McCann was an active member of the First Baptist Church in Dayton. He was also a member of the Scottish Rite of Freemasonry. In his leisure time, Dr. McCann enjoyed going to Canada on hunting trips. Dr. Thomas A. McCann died on the evening of November 7, 1943, at the home of his daughter Jane in Oakwood, Ohio, after a two-year battle with prostate cancer. His wife Jeannette died on February 21, 1954. 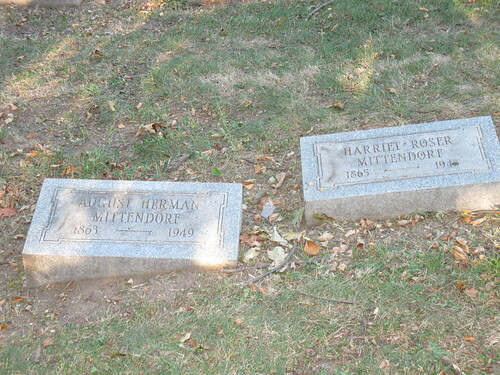 They are both buried in Woodland Cemetery in Dayton, Ohio. Thomas’s attendance at Denison is mentioned in multiple sources, including his obituaries; however, librarians in the Denison University Archives were unable to find any records of his attendance (Mary Prophet to Lisa Rickey, email, 9 July 2012). 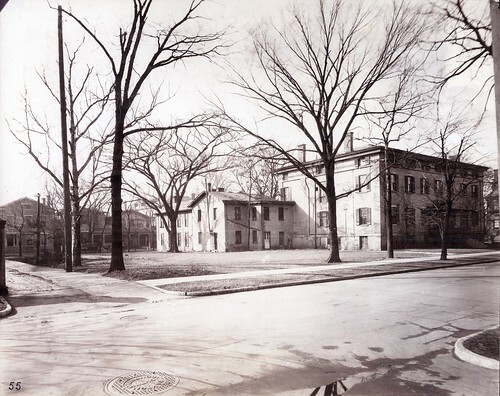 After Thomas McCann moved to Perry Street, his brother Benjamin began boarding at the YMCA; within a year of Thomas’s marriage, Benjamin married Laura Thresher and setup household in her home at 315 N. Robert Bouelvard. On one such hunting trip in February 1906, a member of McCann’s hunting party, Dayton mayor Charles A. Snyder, drowned. Bradford, Thomas L. “McCann, T. Addison.” In Biographical Index of the Graduates of Homeopathic Medical College of Pennsylvania and the Hahnemann College and Hospital of Philadelphia. Philadelphia: [published by subscription], 1918. Accessed 30 June 2012, http://catalog.hathitrust.org/Record/001587030. Brown, Harry W., ed. “T. A. McCann, M.D., Dayton” (pp. 304, 326). In Southern Ohio and Its Builders. [sine loco]: Southern Ohio Biographical Association, 1927. Dayton (OH) City Directories, 1889-1943. Dayton Metro Library. “Dr. Thomas A. McCann Dies; Rites Will be on Wednesday,” Dayton Daily News, 8 Nov. 1943, pp. 1-2. “Dr. 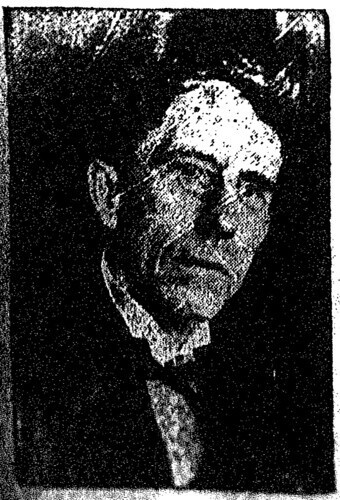 Thomas A. McCann, 85, Dies; Physician 50 Years,” Dayton Journal, 8 Nov. 1943, p. 1. Hawker, Emma, graduate assistant at Bentley Historical Library, University of Michigan, email correspondence to Lisa Rickey, 3 July 2012. Herbison, Matthew, archivist at Drexel University College of Medicine, email correspondence to Lisa Rickey, 30 June 2012. Herzog, Lucy S. “Dr. Lester E. Siemon, of Cleveland, 1867-1943; Dr. Thomas A. McCann, of Dayton, 1858-1943; Dr. Hamilton Fiske Biggar [of Cleveland], 1839-1926.” In Ohio State Medical Journal 46 (1950): 464. “Homeopathy’s Greatest Needs.” The Clinique 42, no. 6 (1921): 243-247. Accessed 12 July 2012, http://books.google.com/books?id=y7lXAAAAMAAJ. “Ohio, Deaths, 1908-1953,” index and images, FamilySearch (https://familysearch.org/pal:/MM9.1.1/X89J-Y62 : accessed 12 July 2012), Thomas A. McCann, 1943. 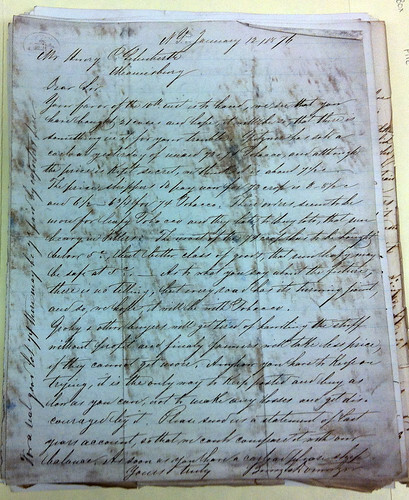 Prophet, Mary Webb, librarian at Denison University, email correspondence to Lisa Rickey, 9 July 2012. Rogers, L. D., ed. [Editorial and special contributions]. In The North American Journal of Homeopathy 68, no. 8 (Aug. 1920): 702-703. Accessed 12 July 2012, http://books.google.com/books?id=L_FXAAAAMAAJ. Sanborn Fire Insurance Maps for Dayton, Ohio, 1897 & 1918. Accessed 12 July 2012, http://dmc.ohiolink.edu/oplinmap.htm. Ullman, Dana. “Charles F. Kettering” (pp. 240-243). In The Homeopathic Revolution: Why Famous People and Cultural Heroes Choose Homeopathy. Berekeley, CA: North Atlantic Books, 2007. Accessed 12 July 2012, http://books.google.com/books?id=BXZlprZRTJoC. Woodland Cemetery & Arboretum Interment Database. Accessed 7 June 2012, http://www.woodlandcemetery.org. This biographical sketch was originally written by Lisa P. Rickey in July 2012 for the Dr. Thomas A. McCann Financial Records (MS-047) finding aid at the Dayton Metro Library, 215 E. Third St., Dayton, Ohio, 45402; phone (937) 496-8654. Henry Hildabolt was born August 29, 1826, in Heimershausen (near Naumburg and Kassel in Hesse), Germany. Henry was the seventh child (and second son) out of the 8 children of John Hellabold (1789-1834) and his wife Catharine Elizabeth Nelke. The other children of John and Catharine Hellabold were: Catherine Elizabeth, Elizabeth, Magdalena, Ann Catherine, Adam, Maria, and Andrew. John Hellabold made a comfortable living and was active in the Reformed Church. In May 1834, John Hellabold and his family, including 7-year-old Henry, departed Bremen, Germany, aboard the steamship Isabella, and after 52 days at sea, arrived at the port of New York on July 4, 1834. They traveled west to Cincinnati, where they sold two shotguns to pay the canal fare to Miamisburg. They sold some linen in order to pay a man to take them by wagon from Miamisburg to Sunbury, near Germantown. Less than two months after the family arrived in Sunbury, Henry’s father John Hellabold became ill and died. This presented the family with great hardship and the need to seek outside employment or apprenticeships. Due to the circumstances, the children received little formal education after arriving in America, although they had attended school in Germany. Consequently, Henry had but a few years of regular schooling, although he continued to attend Sunday school. At the age of 8, Henry’s mother placed him with another family, so that he could learn a trade, although she visited him often. He first went to live in the home of a blacksmith, but as he was not treated well there, he ran away, back to his mother. Then his mother placed him in the home of John D. Gunckel (of Germantown), where he was treated as a son. Henry was meant to stay with Mr. Gunckel until he reached adulthood, but when he was 14 years old, he convinced Mr. Gunckel to let him learn a trade. Therefore, Henry went to live and apprentice with a local cabinetmaker named Berryman G. Hawkins. After 5 years of learning the cabinetmaking trade with Mr. Hawkins, Henry set out on his own at the age of 19. He traveled to find work and lived for a year in Goshen, Indiana. Henry soon returned to Germantown, where he was hired by Mr. Hawkins, making cabinets, coffins, and furniture. During the summer of 1858, Mr. Hawkins wished to retire and invited Henry to buy out his furniture-making and undertaking business. Henry agreed, purchasing and taking over the business at the end of August. Henry performed his first duties as an undertaker on August 29, for a child named Pence; the funeral cost $6. 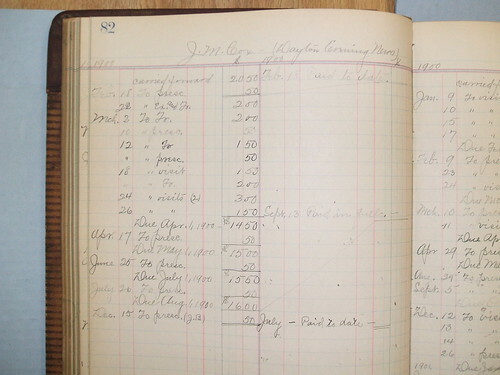 His next undertaking call was on August 31 for Mrs. Peter Shaeffer; the total fees for the funeral and coffin were $12. On November 18, 1849, in Montgomery County, Ohio, Henry married Sarah Barnhart (born July 20, 1828), daughter of John and Christine Barnhart. By 1855, the young couple had saved enough money to purchase a house and lot on the southeast corner of Gunckle and Plum streets in Germantown, where they lived until their deaths. Chloe Hildabolt (born Aug. 6, 1869; died June 17, 1940). Although his beginnings were humble, Henry became quite successful and amassed a small fortune. From 1858 through the end of 1883, Henry Hildabolt had buried 1,358 people in Germantown and the surrounding area. He continued to deal in furniture as well. 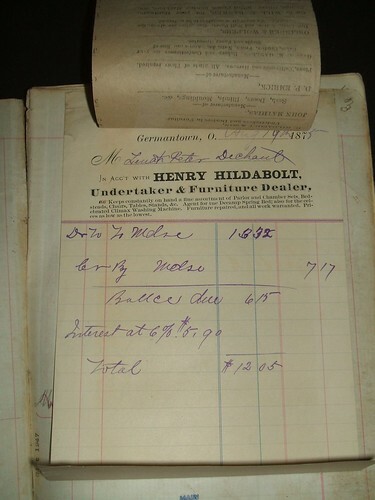 On January 1, 1884, Henry made his son John a formal partner in the business, thenceforth called H. Hildabolt & Son, with Henry receiving 2/3 of the business’s profits and John receiving 1/3. From 1884 to 1902, H. Hildabolt & Son buried another 1,017 more people, for a total of 2,375 burials during Henry’s 44 years in the undertaking business. Henry did not retire until just a few weeks before his death, at which time the business became J. A. Hildabolt & Brother, operated by brothers John and Collin. In addition to his dedication to his business, Henry was active member and generous supporter of the St. John’s Reformed Church at Germantown, where he also served as a trustee and Sunday school superintendent for many years. He was a member of the Independent Order of Odd Fellows, Friendship Lodge No. 21, from 1848 until his death. 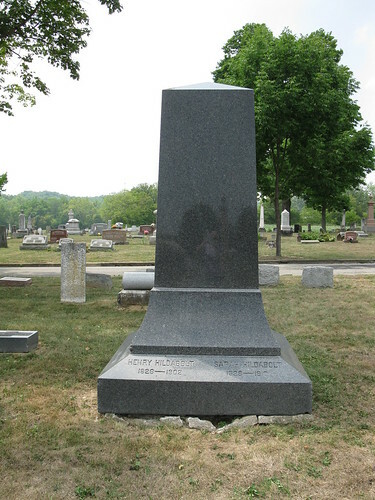 Henry Hildabolt died on January 25, 1902, in Germantown, Ohio, and was buried in the Germantown Cemetery. 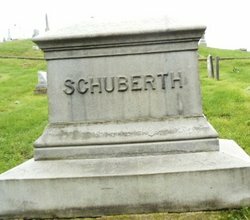 His wife Sarah died July 24, 1910, and was buried beside him. 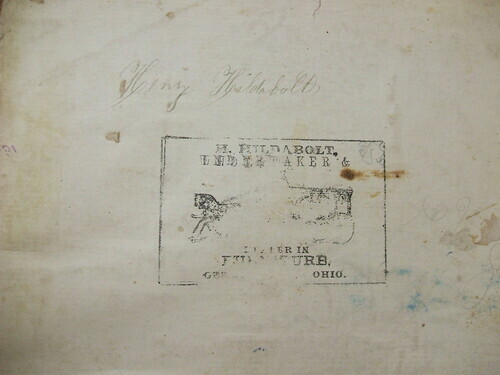 The Historical Society of Germantown consistently refers to him as “John Henry Hildabolt.” However, all other records, including the record of his birth (A Sketch of the Life and Death of Henry Hildabolt, p. 7) simply call him “Henry.” Heimershausen is located near the towns of Naumburg and Kassel, in the state of Hesse, Germany. Henry Hildabolt’s house, now addressed 104 S. Plum Street, still exists and is a private residence. Ettel, Dorothy. “Hildabolt” [research notes]. 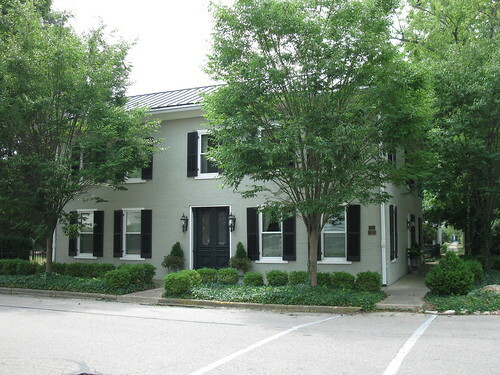 Historical Society of Germantown (Germantown, Ohio). Accessed 4 Aug. 2012. Hildabolt, Annie. “Centennial History of St. John’s Reformed Church at Germantown, Ohio” (1914). 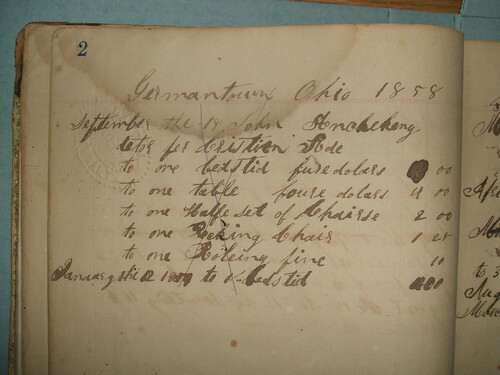 St. John’s Reform Church, Germantown, Ohio, Records, 1843-1914 (MSS 25). Ohio Historical Society (Columbus, Ohio). “Ohio, County Marriages, 1789-1994.” FamilySearch web site. Accessed 26 Aug. 2012, http://www.familysearch.org. “Pioneer Citizen Passed to His Reward.” Germantown Press, 30 Jan. 1902. In Dorothy Ettel, “Hildabolt” [research notes]. Sanborn Fire Insurance Maps for Germantown, Ohio, 1921. Accessed 6 Aug. 2012, http://dmc.ohiolink.edu/oplinmap.htm. 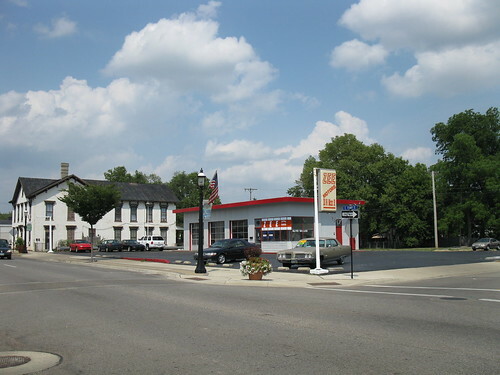 “Self-Guided Tour of Historic Germantown, Ohio” (brochure). [Germantown, OH]: Historical Society of Germantown, [2012?]. 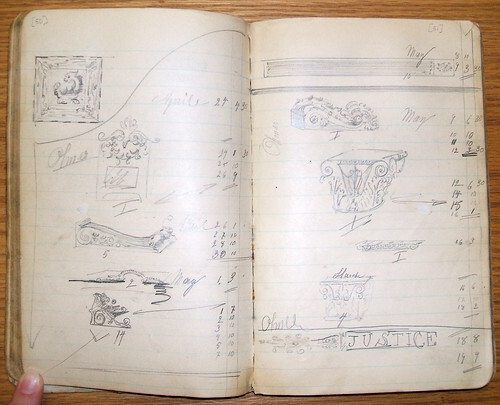 A Sketch of the Life and Death of Henry Hildabolt, with Letters and Papers received by the Family. Dayton, OH: United Brethren Publishing House, 1902. U.S. Federal Census, 1860-1940, via Ancestry Library Edition. 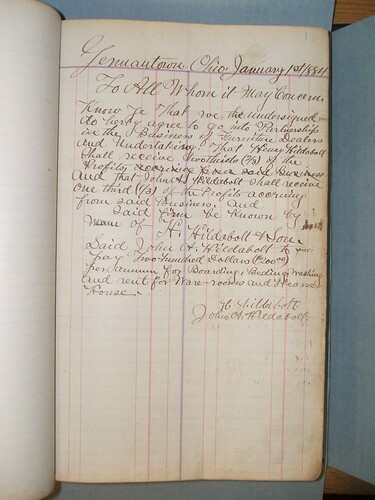 This biographical sketch was originally written by Lisa P. Rickey in August 2012 for the Henry Hildabolt Cabinetmaker & Undertaker Business Records (MS-044) finding aid at the Dayton Metro Library, 215 E. Third St., Dayton, Ohio, 45402; phone (937) 496-8654. Additional information about the sketch’s subject can be found in that collection. For more information about the manuscript collection’s contents, please see the original finding aid available in the Local History Room of the Dayton Metro Library or the OhioLINK EAD Repository entry. Jonathan Harshman Winters, I, was born October 21, 1834, in Dayton, Ohio, the fourth child (and eldest son) out of the 11 children of Valentine Winters (1807-1890) and his wife Catherine Harshman (1810-1882). He was named after his grandfather, Jonathan Harshman, Sr. Valentine Winters and his son Jonathan were prominent Dayton bankers. Jonathan H. Winters (1834-1915), from the Dayton Daily News, 4 June 1915, pg. J5. Jonathan attended local Dayton schools. Then, in 1851, he attended the Flushing Institute, a preparatory school in Long Island, New York. In 1852-1853, he studied at “the College Hill university” (Farmer’s College) in Cincinnati. 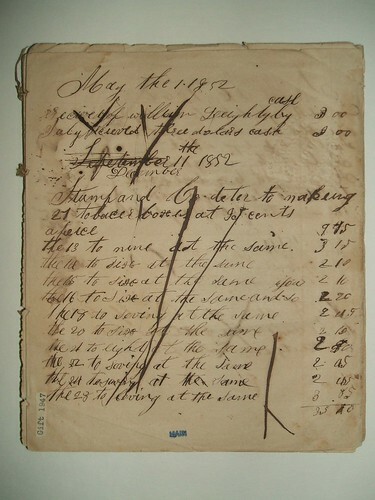 In 1853 or 1854, Jonathan became an assistant teller and messenger at the Dayton Exchange Bank, which was controlled by his father Valentine Winters, his uncle Jonathan Harshman, Jr., his brother-in-law Robert R. Dickey, and James R. Young. Within a few years, Harshman, Dickey, and Young had all withdrawn from the Exchange Bank. In 1857, Valentine Winters made his son Jonathan a partner (one-third interest) in the bank, which was then known as V. Winters & Son. The same year that he became a partner in his father’s bank, Jonathan H. Winters married Susan Louella Bates on June 9, 1857, in Cincinnati, Ohio. Susan was born September 16, 1837, in Cincinnati, Ohio, the eldest daughter of Richard Bates (1808-1855) and his wife Nancy Trotter (1814-1870). The Jonathan H. Winters family resided from at least the 1860s until about 1899 at 115 W. Third Street (north side of Third between Wilkinson and Ludlow), across the street from Jonathan’s father Valentine Winters’ large mansion at 130 W. Third Street. The Valentine Winters home became the site of the Women’s Christian Association in 1891 [dedicated 31 Jan. 1892, see MS-038, 4:1, p. 107]. 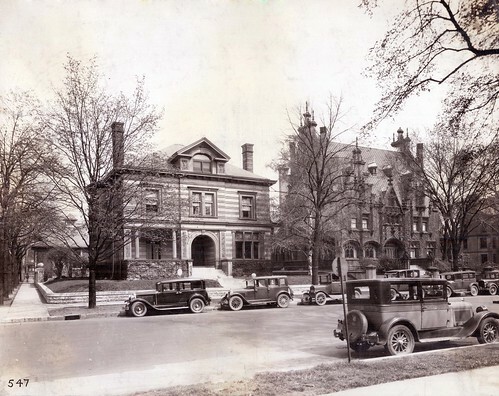 A new YMCA was built at the northwest corner of Third and Ludlow in 1908, and the YMCA eventually purchased the J. H. Winters house next-door to be used as the Boys’ Building. The site is currently  part of a Dayton municipal parking garage. About 1899, the Jonathan and Susan Winters moved to 137 W. First Street (northeast corner First and Wilkinson), where they lived until their deaths. The site is now a parking lot. Valentine Winters, II (born June 9, 1866; died Oct. 8, 1943), who married Helen Wood Clegg (1867-1938) in 1889 and had one son, Jonathan Harshman Winters, II (1898-1975). On January 1, 1882, the V. Winters & Son Bank became the Winters National Bank, with Jonathan H. Winters as its president. With the exception of one year, Jonathan was the active head of the Winters National Bank for 31 years, from its inception on January 1, 1882, until he stepped down as president on January 1, 1913. However, he remained vice president until his death. Winters National Bank was located on the northeast corner of Third and Main Streets. The one year in which Jonathan H. Winters did not serve as active head of the Winters National Bank was from August 1882 to August 1883. During that time, Jonathan, his wife, and his three children traveled extensively throughout Asia, the Middle East, Northern Africa, and Europe. While Jonathan and his family were “globe trotting,” as he called it, his father Valentine acted as head of the Winters National Bank. In addition to his interest in the banking industry, Jonathan H. Winters also held stock in the Dayton and Western Traction Company, the Dayton and Troy Traction Company, and other corporations. Although Jonathan H. Winters was interested in civic and community affairs, he preferred the company of his family and the books in his large library over companionship from social clubs or organizations. Susan L. Winters was actively involved in the Women’s Christian Association (WCA). 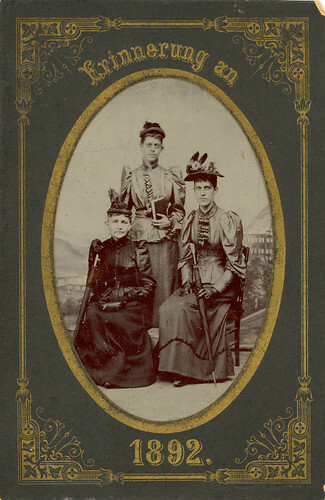 She and her mother Nancy (Trotter) Bates were among its organizers in 1870, and Susan Winters was its first president. 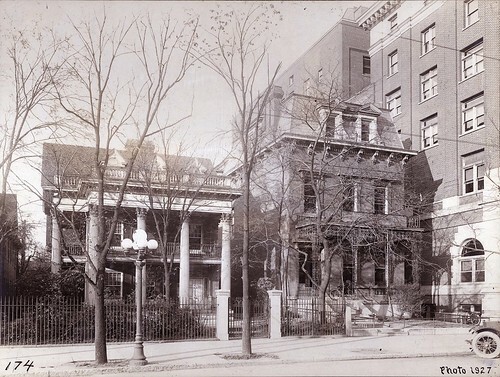 Susan was also among the founders (and a generous donor to the construction fund) of the Dayton Widows’ Home, which was built on Findlay Street in 1883 and maintained by the WCA. 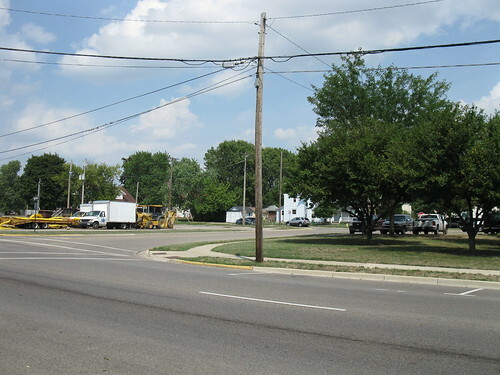 When Miami Valley Hospital decided to remove from its location on Fourth Street to its present location near Apple Street, Susan Winters has been credited with having donated the land for the hospital. Jonathan and Susan Winters were members of the Third Street Presbyterian Church in Dayton. Susan taught a large Sunday school class for adults there for a number of years. Susan L. (Bates) Winters died of heart disease on September 9, 1910, at her home, 137 W. First Street, Dayton, Ohio. She was 72 years old. On June 4, 1915, Jonathan Harshman Winters, I, died in Dayton, as a result of pneumonia contracted during a lengthy road trip in inclement weather the previous week. He was 80 years old. Jonathan H. Winters and his wife Susan L. Winters are buried in Woodland Cemetery in Dayton, Ohio. This was stated in Susan’s obituary. However, Mark Bernstein’s book Miami Valley Hospital: A Centennial History (1990) names “Clara Winters” (the name of Jonathan and Susan’s daughter) as the land donor (pp. 18-19). Bernstein, Mark. Miami Valley Hospital: A Centennial History. [Dayton, OH]: Miami Valley Hospital, 1990. 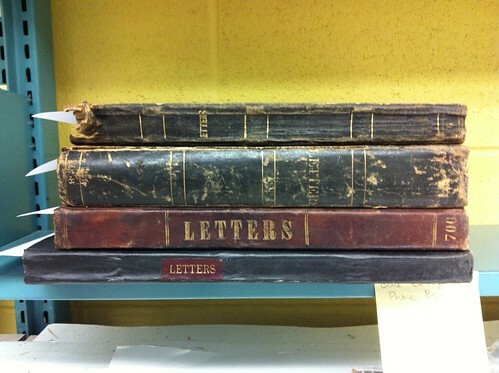 Dayton (OH) City Directories, 1856-1916. Dayton Metro Library. Dayton Widows’ Home. “About Widows Home – Our History.” Accessed 11 July 2012, http://www.widowshome.org/about-us. “Death Beckons Mrs. Winters.” Dayton Journal, 10 Sept. 1910, p. 9. “Jonathan H. Winters, Pioneer Banker, Dies.” Dayton Daily News, 4 June 1915, p. J-5. “Ohio, Deaths, 1908-1953,” index and images. Accessed 11 July 2012, at FamilySearch, http://www.familysearch.org. “Prominent Dayton Banker Succumbs to Pneumonia.” Dayton Journal, 5 Jun 1915, p. 8. Sanborn Fire Insurance Maps for Dayton, Ohio, 1897 & 1918. Accessed 19 July 2012, http://dmc.ohiolink.edu/oplinmap.htm. Winters, Jonathan H. A Sketch of the Winters Family. Dayton, OH: United Brethren Publishing House, 1889. Winters, Susan L. [Winters family genealogy notes]. 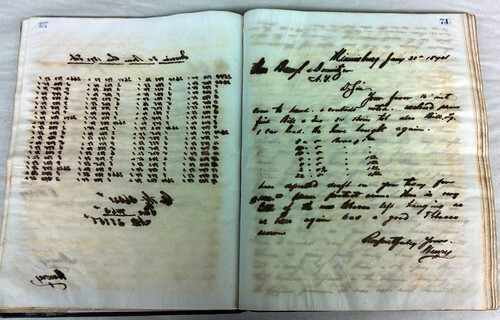 Winters Collection (MS-038), 4:2, Dayton Metro Library (Dayton, Ohio). Woodland Cemetery & Arboretum Interment Database. 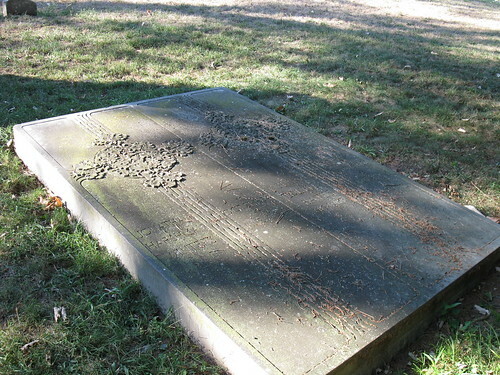 Accessed 11 July 2012, http://www.woodlandcemetery.org. This biographical sketch was originally written by Lisa P. Rickey in July 2012 for the Jonathan H. & Susan L. (Bates) Winters Papers (MS-038) finding aid at the Dayton Metro Library, 215 E. Third St., Dayton, Ohio, 45402; phone (937) 496-8654. August Herman Mittendorf, sometimes called “Herman” or simply “A. H.,” was born in March 1863 in Ohio, the fourth surviving child of Rev. William Mittendorf (1830-1895) and his first wife Louisa Remmert (~1830-1879). The other children of William and Louisa were: Eliza, Charles, Louis, John, Lydia, and Anna. William and his second wife Rosina Meyers (~1846-1893) had two more children: Nellie and William. August’s parents were born in Germany and came to America in 1853, settling first in southern Ohio (near Portsmouth and Ironton). Rev. 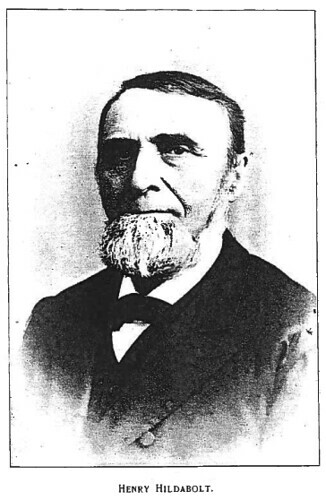 William Mittendorf was a preacher with the United Brethren Church and traveled many Midwest circuits in the 1860s. In 1869, the family came to Dayton, Ohio, where Rev. 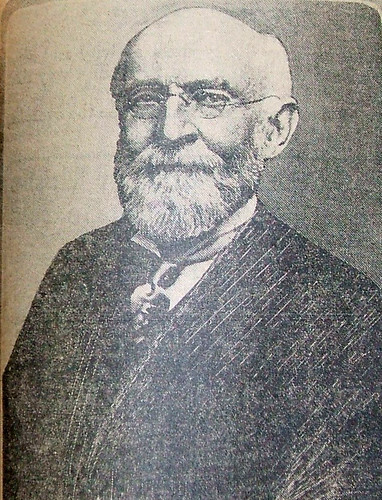 Mittendorf served for many years as an editor at the United Brethren Publishing House. While several members of the Mittendorf family followed Rev. William’s footsteps and joined the printing business, August pursued a much different occupation: wood carving and design. A. H. Mittendorf was conspicuously absent from the Dayton City Directories for the four years from 1881 to 1885. The specific reason for August’s apparent absence from the directories (and probably from Dayton) during that time is unclear. 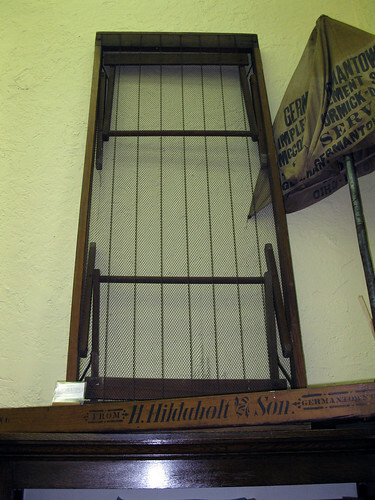 Thenceforth, from 1885 until 1938 (more than 50 years), A. H. Mittendorf was listed in the Dayton directories under some variation of the following occupations: wood carver, designer, cabinetmaker, and even maker of “interior woodwork and special furniture.” (The most common entry was “wood carver.”) For much of his career, August’s business office was located on the south side of Third Street, just east of Main (address 10 E. Third, 28 E. Third, 32 E. Third). Based on his business records, August sometimes did business as a subcontractor, and sometimes he was hired directly by his customers. He frequently did Dayton businesses such as M. Ohmer’s Sons furniture manufacturers, contractor O. L. Bouck, and F. A. Requarth manufacturers, as well as Middletown lumber business Caldwell & Iseminger. 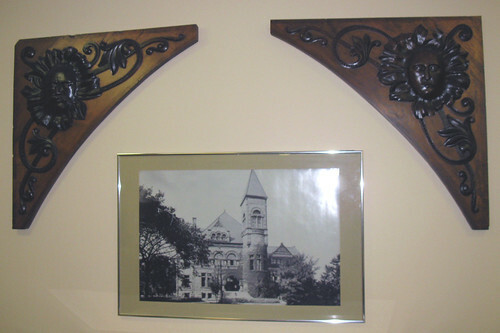 Through both subcontracted and direct-hired work, A. H. Mittendorf created detailed wood carvings for the architecture and furnishings of many prominent Dayton area families, including F. P. Beaver, E. J. Barney, Edward Canby, R. C. Schenck, the Threshers, the Thrustons, and the Chews (of Xenia). 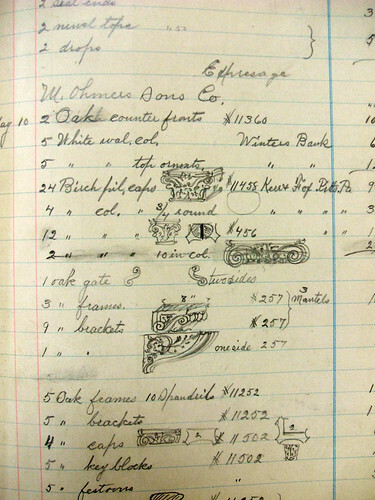 He also did many carvings for National Cash Register Company and a few for Barney and Smith Car Company. In addition to these local customers, Mittendorf designed wood carvings for the architecture of at least 15 county courthouses in 9 states. He also designed carvings for the Ohio State House; Ohio Senator John Sherman’s Washington, D.C., residence; and the residence of former Ohio governor William Dennison. Panels carved for Dayton’s Old Library by A. H. Mittendorf, ca. 1887-1888, under contract with architects Beaver & Butts (photo by the author, 19 Sept. 2012). See additional photos of them on Flickr. In 1895, August H. Mittendorf married Harriet A. Roser (1865-1945), who was a dressmaker in Dayton for many years. 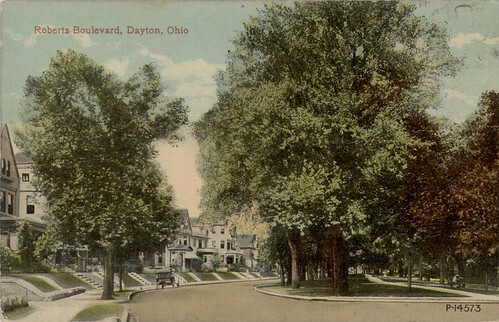 In 1898, they moved to the Dayton View neighborhood and made their residence at 621 Grand Avenue until their deaths. They do not appear to have had any children. August Herman Mittendorf died on April 4, 1949, in Dayton, Ohio. He and his wife are buried in Woodland Cemetery in Dayton. Dayton (OH) City Directories, 1877-1949. Dayton Metro Library. Death notice of August H. Mittendorf, Dayton Journal, 6 Apr. 1949, p. 15. Hamilton, William J. Press Release [re: Old Library Panels]. 18 Feb. 1938. Dayton Metro Library Collection (MS-007), 8:3, Dayton Metro Library (Dayton, Ohio). Haverstock, Mary Sayre, Jeannette Mahoney Vance, & Brian L. Meggitt, eds. 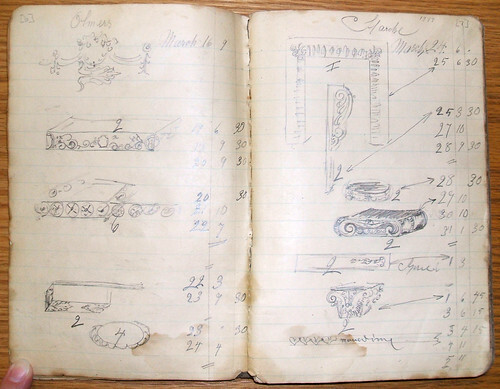 Artists in Ohio, 1787-1900: A Biographical Dictionary. Kent, OH: Kent State University Press, 2000), 606. History of Montgomery County, Ohio. Chicago: W. H. Beers & Co., 1882. “W. Mittendorf,” Book 3, pages 226-227. Dayton Local History 977.172 H673. “Ohio, County Marriages, 1789-1994,” index and images, FamilySearch (https://familysearch.org/pal:/MM9.1.1/X87T-FLF : accessed 21 June 2012), August H. Mittendorf, 1895. “Ohio, Deaths, 1908-1953,” index and images, FamilySearch (https://familysearch.org/pal:/MM9.1.1/X6R7-GP1 : accessed 21 June 2012), August Herman Mittendorf, 1949. U.S. Federal Census, 1870-1910, via Ancestry Library Edition. It is difficult to determine specifically where August was born, since his father was a preacher and moved often in the 1860s. This biographical sketch was originally written by Lisa P. Rickey in June 2012 for the Mittendorf Business Records (MS-048) finding aid at the Dayton Metro Library, 215 E. Third St., Dayton, Ohio, 45402; phone (937) 496-8654. Laura Henderson Thresher (born Aug. 26, 1867; died Nov. 19, 1951), who in 1900 married Benjamin Franklin McCann and had four children. Both Mary and Laura Thresher graduated from Cooper Academy in Dayton on June 13, 1884. Less than two weeks later, their mother Martha died. Two years after that, their father Ebenezer died; Mary was 21, and Laura was 18. After graduating from Cooper Academy, Mary and Laura furthered their educations in Boston, Massachusetts, where Laura studied piano, and Mary attended Radcliffe College. 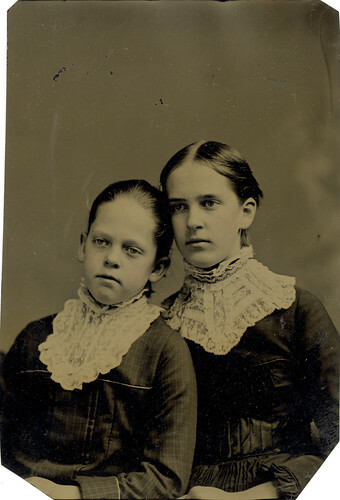 Both Laura and Mary were founding members of the Woman’s Literary Club in 1889. Laura was also an early member of Dayton’s Mozart Club, which was founded in 1888; she served as secretary from 1891-1892. In the early 1890s, Mary and Laura had a large home built at 315 N. Robert Boulevard. (Two of their brothers-in-law, E. R. Stilwell and Henry M. Robert had been instrumental in the success of the Robert Boulevard project.) [A photo of the house can be found in the Dayton Journal Herald, July 23, 1960, pg. 1.] This home eventually passed to Laura’s daughter Eleanor, who lived there until 1964, when the house was demolished along with many others. Also in the 1890s, Mary and Laura traveled to Europe together at least twice, once in 1892, and once in 1898-1899. Both Mary and Laura were in their thirties before they married. 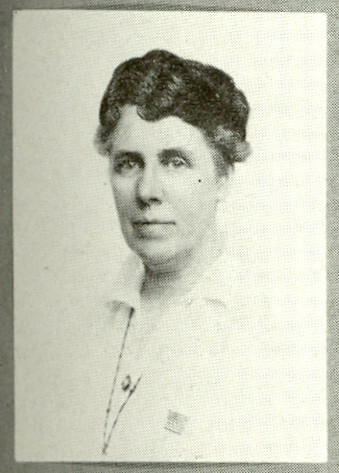 Mary M. Thresher married at age 38. On February 16, 1903, in Montgomery County, Ohio, she wed Frederick Phillip Beaver, age 57, the president of the Beaver Soap Company. 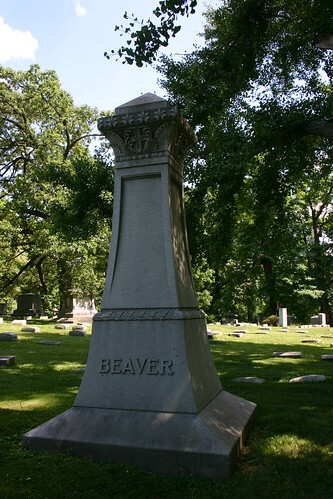 Frederick P. Beaver was born November 19, 1845, in Dayton, Ohio, a son of John N. F. Beaver and Caroline (Snyder) Beaver. (His mother was the sister of Rev. Frederick Snyder, mentioned earlier.) He was educated in Dayton schools. In May 1864, at the age of 18, Frederick enlisted in the Civil War, serving in the 131st Ohio Volunteer Infantry, alongside John H. Patterson. 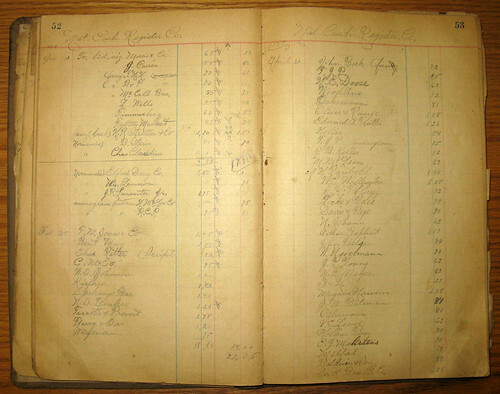 Frederick was involved in a few different businesses over the years: as a bookkeeper with the Dayton firm Chamberlain & Parker; with the firm Brownell, Orr, & Co., which operated a planing mill in Hopkinsville, Kentucky; with Dayton furniture dealers Chadwick & Sweet; and as organizer of the Silver Star baking powder business. In 1879, Frederick P. Beaver established what would eventually be known as the Beaver Soap Company, under which name the company was ultimately incorporated in September 1893, with Frederick as president. About 1906, Frederick P. Beaver apparently retired as president of the Beaver Soap Company, at which time vice president W. D. Chamberlin became president. 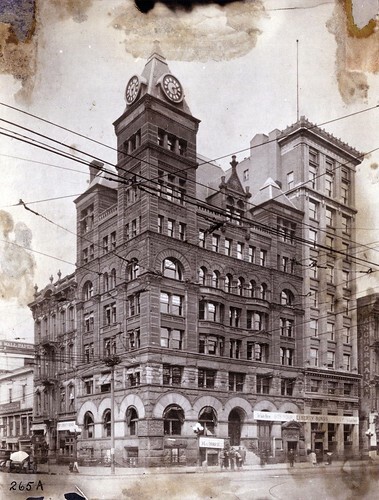 In 1898, Frederick had the Beaver Power Building constructed on the northwest corner of Fourth and St. Clair streets in Dayton. The Delco Company began manufacturing automobile self-starters in the building around 1912. On November 29, 1893, Frederick P. Beaver married Emma J. Thompson. She died on January 4, 1901, leaving no children. 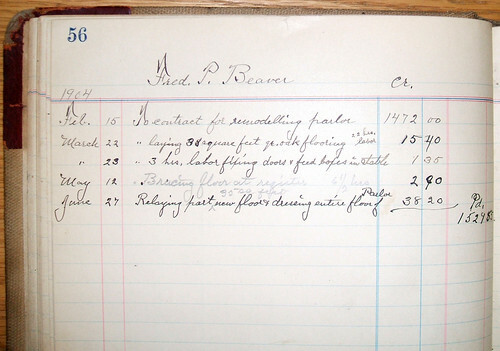 On February 16, 1903, F. P. Beaver and Mary M. Thresher were married. Both were members of the First Baptist Church. The couple resided at 127 N. Perry Street (northeast corner of Second and Perry). They had no children. Frederick P. Beaver died on January 4, 1936, in Dayton, Ohio. 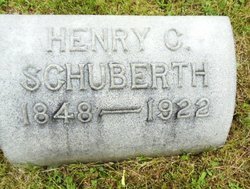 He was buried January 6, 1936, in Woodland Cemetery in Dayton. Mary (Thresher) Beaver lived 11 more years. She was active in many organizations, including the Dayton Art Institute, Widows’ Home, YMCA, and Woman’s Literary Club. She was also a generous supporter of groups such as the Dayton Philharmonic Orchestra, Miami Valley Hospital, and others. 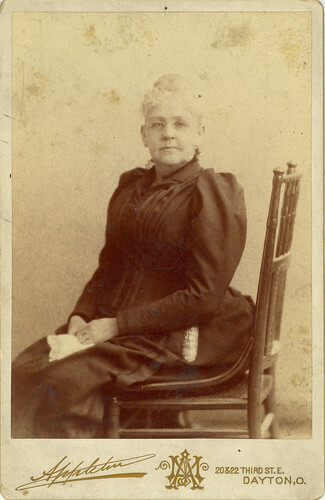 She was active in the First Baptist Church, including teaching the Women’s Bible Class, as well as the business and professional class, and contributed towards a new wing at the church as well as towards the modernization of the church organ. She was also among the first presidents of the East Central districts, a division of the Northern Baptist Convention’s women’s organization. Mary Martha (Thresher) Beaver died on May 28, 1947, at her home at 127 N. Perry Street in Dayton, Ohio. She was buried May 31, 1947, in Woodland Cemetery in Dayton. Laura H. Thresher married at age 32. On January 11, 1900, in Montgomery County, Ohio, she wed Benjamin Franklin McCann, age 38, the county probate judge. Benjamin F. McCann was born January 22, 1861, in Dresden, Muskingum County, Ohio, a son of Thomas A. and Jane (McKee) McCann. He attended public schools in his hometown and then attended Denison University, where he was a noted scholar and athlete. Benjamin traveled in Europe following graduation. Then, about 1888, he came to Dayton and studied law under Gunckel & Rowe, while boarding at the YMCA. He was admitted to the bar in June 1890. In 1891, Benjamin became the first police prosecutor in Dayton. In 1899, he was elected probate judge and served two terms, declining a third term in 1906 to return to his law practice. He later served one term as a juvenile court judge. As a young Dayton lawyer, Benjamin was one of the chief prosecuting attorneys in the famous 1896 trial of Albert Frantz, who was convicted in 1896 for the murder of Bessie Little. Benjamin later represented Edward A. Deeds and Charles F. Kettering with respect to their automobile self-starter and Delco Light manufactures. In addition to his law practice in the firm of McCann & Whelan, Benjamin McCann taught a Bible class at First Baptist Church, was active in YMCA activities, and served as a trustee of Denison University and Ohio State University. Benjamin F. McCann died November 29, 1924, in Dayton, Ohio, as a result of a cold contracted the previous week while attending a trustees meeting and college football game at Denison University. He was buried December 1, 1924, in Woodland Cemetery in Dayton, Ohio. Laura (Thresher) McCann lived nearly 27 years after her husband’s death. For many years, she taught the Philathea class for girls (later known as the Louisa May Alcott Club) at First Baptist Church. Laura Henderson (Thresher) McCann died November 19, 1951, at her home at 315 N. Robert Boulevard, in Dayton, Ohio. 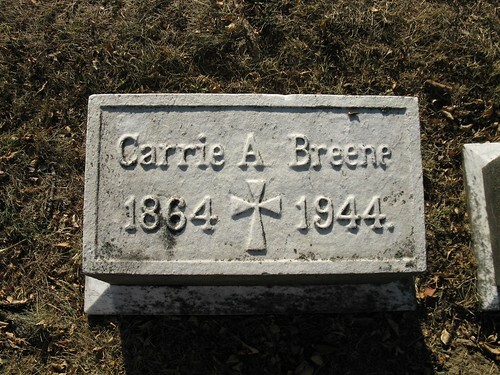 She was buried on November 21, 1951, in Woodland Cemetery in Dayton. Eleanor Colby McCann (born Oct. 16, 1907; died Mar. 6, 2004), who was unmarried and was a music teacher in Dayton for many years. This biographical sketch was originally written by Lisa P. Rickey in July 2012 for the Thresher-McCann Collection (MS-036) finding aid at the Dayton Metro Library, 215 E. Third St., Dayton, Ohio, 45402; phone (937) 496-8654. Additional information about the sketch’s subject can be found in that collection. For more information about the manuscript collection’s contents, please see the original paper finding aid available in the Local History Room of the Dayton Metro Library, the OhioLINK EAD Repository entry. Mary Thresher’s Cooper Female Academy certificate, 13 June 1884, Thresher-McCann Collection (hereafter cited as TMC), 2:4, Dayton Metro Library (Dayton, Ohio); Cooper Academy commencement invitation, June 1884, 4:7, TMC. “Mrs. Mary Beaver dies at Residence,” Dayton Daily News, 28 May 1947; “Mrs. McCann, Dayton Social Leader, Dies,” Dayton Journal Herald, 20 Nov. 1951. Mary’s obituary states that she attended Radcliffe College in Boston. However, the Radcliffe College archives was unable to find any information to confirm that Mary Thresher (or Laura Thresher) ever attended the college (email correspondence from Sarah Hutcheon, Schlesinger Library, Radcliffe College, to Lisa Rickey, 31 May & 7 June 2012). “Mrs. McCann…Dies”; Woman’s Literary Club, Minutes (Dayton, OH: Woman’s Literary Club, 1889), 7; Woman’s Literary Club, Club Year Book 1889 (Dayton, OH: Woman’s Literary Club, 1889), 10; Souvenir, 1893, Mozart Club, Dayton, Ohio (Dayton, OH: Mozart Club, 1893), 11. “Mrs. McCann…Dies”; Margaret Ann Ahlers, “The Story of Robert Boulevard,” Dayton Journal-Herald, 23 July 1960, accessed 24 May 2012, http://www.daytonhistorybooks.com/the_story_of_robert_blvd.html; Jeanne D. Walters, “Roads—Robert Blvd,” Dayton Journal-Herald, July 1978, accessed 24 May 2012, http://www.daytonhistorybooks.com/roads__robert_blvd.html. See TMC, Series I, Subseries 4: European Trips. Ohio, County Marriages, 1789-1994 (database), FamilySearch, accessed 23 May 2012, http://www.familysearch.org. Drury, History of the City of Dayton, 2:226-227. Drury, History of the City of Dayton, 2:227; Montgomery County Picture File, Dayton Metro Library, photographs # 1428, 1429, 2352. Drury, History of the City of Dayton, 2:227. Drury, History of the City of Dayton, 2:227-228; Dayton City Directories; Beaver Soap Company, [Official Records of Beaver Soap Company], Dayton Metro Library (Dayton Collection, call number 338.7668 B386O 1893/1927). Dayton Metro Library postcard collection, postcard # 1143; Photograph “Construction of Power Building, 4th and St. Clair. F. P. Beaver,” TMC, Photographs #0001-0002, 5:3. Drury, History of the City of Dayton, 2:228; Woodland Cemetery & Arboretum Interment Database, accessed 29 Jan. 2011, http://www.woodlandcemetery.org. 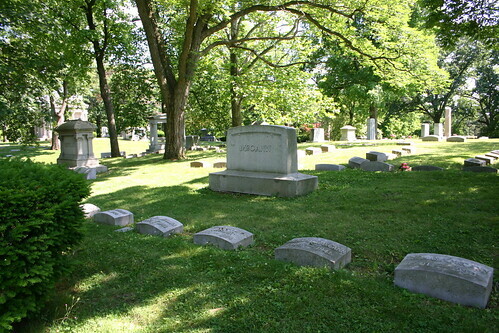 Woodland Cemetery & Arboretum Interment Database, accessed 29 May 2012, http://www.woodlandcemetery.org. “Mrs. 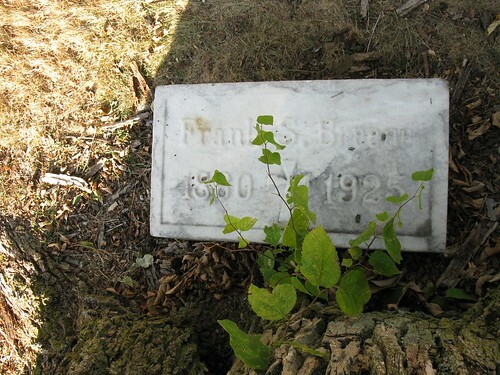 Mary Beaver Dies at Residence”; Woodland Cemetery & Arboretum Interment Database, accessed 29 May 2012, http://www.woodlandcemetery.org. Ohio Marriages, 1800-1958 (database), FamilySearch, accessed 4 Feb. 2011, http://www.familysearch.org. Dayton City Directories, 1888-1924; U.S. Federal Census, 1870-1920; “Funeral Rites for Prominent Judge Tomorrow,” Dayton Daily Journal, 30 Nov. 1924. “Funeral Rites for Prominent Judge Tomorrow”; Woodland Cemetery & Arboretum Interment Database, accessed 29 Jan. 2011, http://www.woodlandcemetery.org. “Mrs. McCann…Dies”; Woodland Cemetery & Arboretum Interment Database, accessed 29 Jan. 2011, http://www.woodlandcemetery.org. Death notice of Ruth McCann, Dayton Daily Journal, 6 Sept. 1902; Woodland Cemetery & Arboretum Interment Database, accessed 27 Sept. 2011, http://www.woodlandcemetery.org. “Mrs. McCann…Dies”; U.S. Federal Census, 1910; Social Security Death Index; World War II Army Enlistment Records, 1938-1946 (database), Ancestry Library Edition; Woodland Cemetery & Arboretum Interment Database, accessed 27 Sept. 2011, http://www.woodlandcemetery.org. “Mrs. McCann…Dies”; U.S. Federal Census, 1910-1930; Ohio Deaths, 1908-1932, 1938-1944, and 1958-2007 (database), Ancestry Library Edition.